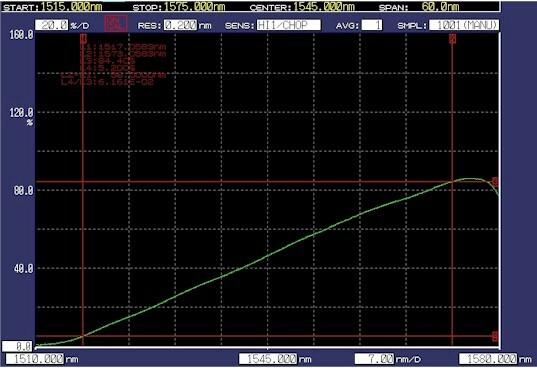 Our optical fibre linear filter is a transmission type linear filter with a transmission range from 10% to 90%. With model number OEOLF-100, the optical fibre linear filter is packaged by our advanced micro optics package technology. The spectrum of OEOLF-100 has a linearly shaped optical transmission spectrum. Two standard bandwidths of 7 nm and of 50 nm at 1550 nm range can be shipped immediately. 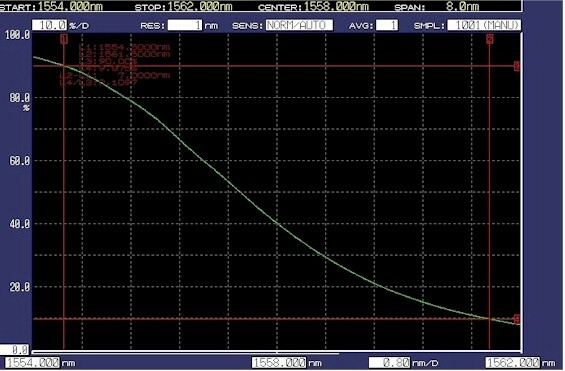 linear filter of custom wavelengths and bandwidths are also available on demand. The bandwidth of the optical linear filter can be from a few nanometres to a few hundreds of nanometres.